The Pope is in America! Does this mean Jesus Christ is once more on earth? Regardless of your answer to this question. I want you to put it aside for a while and let us analyze the facts carefully. Over two thousand years ago, the Bible told us that God Himself became flesh and came to earth in the manifestation of His Son Jesus Christ (John 1). He had several purposes on earth, but the ultimate purpose was to die on the cross for the sins of humanity. The Bible recorded that He died and in three days He rose again. Before Jesus died, He had a powerful ministry on earth. He healed every sicknesses and disease that existed in those days. He also delivered people who were demon possessed, and He even raised dead people from their grave. His message was about love and unity. Consequently, Christ became famous all over the world. Everyone heard about this great man who was doing many miraculous things. So wherever Jesus went there was a large crowd of people following Him. The people were eager to see Jesus. Many people wanted Him to touch them to receive a blessing or a prayer so that they could be healed and delivered. Some people were so desperate they pushed their way through the throngs of people and earnestly reached out their hands to touch a piece of His clothes. Christ’s disciples were also His bodyguards, and they tried to push the people away so that they would not trample or hurt Him in their eagerness to touch Him. One woman managed to defy all odds and grabbed hold of His garment and was instantly healed and delivered from her sickness that she had for twelve years. The children were also eager to see Jesus and to be blessed by Him. There was one occasion where a group of mothers brought their children to Jesus to be blessed. However, when the disciples saw them, they began to chase them away. I guess their master was exhausted and they wanted Him to rest for a while. But when Jesus saw the anticipation of these little children faces He called them to Him and forbade the disciples to send them away. These happy parents hurriedly gathered their children at the feet of Jesus, who blessed every single one of them. The children were very precious to Him, and He wanted all of them to be blessed. For the past couple weeks, the news media has been excitedly reporting the arrival of the Pope in Cuba and America. Wherever he goes, there has been maximum security set up to ensure his safety. A massive crowd of people lined the roadside and congregated in the churches and public areas where he was scheduled to speak. 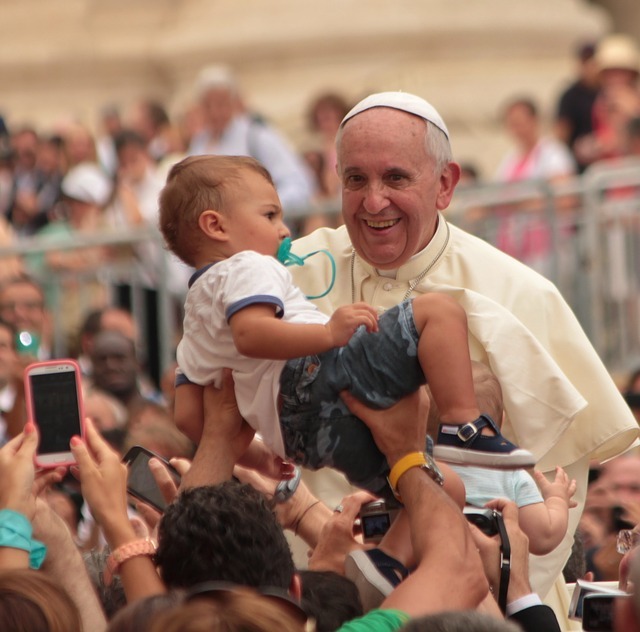 Parents with their children were also in the crowd hoping that the pope would select their child to touch and bless them. They said that the Pope is a humble man, and he is comfortable with the children, disabled and less fortunate people in the society so he sometimes spontaneously stepped away from his protected mobile to lay hands on these particular people and give them a blessing. 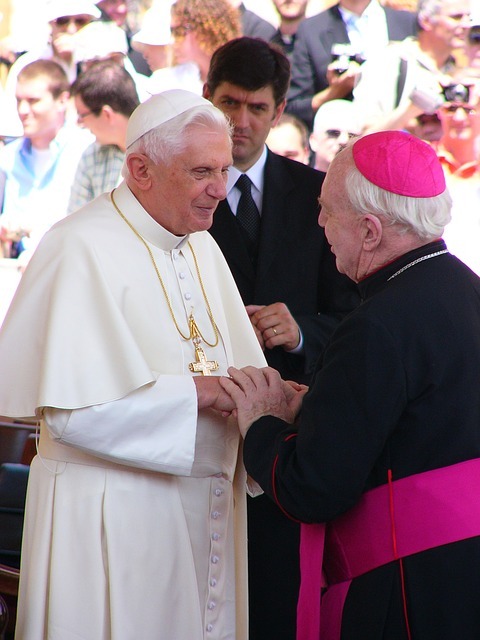 A few people who have been fortunate to get close to the pope and be blessed by him all stated that the occasion was memorable and surreal. One that they would never forget for the rest of their life. Friday morning as I watched CNN news they were featuring the pope on his way to speak at the UN conference. He was also scheduled to hold mass at Maddison Square Garden, and thousands of people were in line waiting to be checked by the security before entering. There were many barricades and checkpoints erected for the occasion, and the security was maximum. One of the reporters interviewed a lady who was in the line waiting to get into the arena. She asked her why she was waiting. The woman excitedly answered that she wanted to see the pope because he is like Jesus walking on earth once more. This remark is the reason I decided to write this post. Upon hearing the lady’s statement, the reporter commented that she is sure that the Pope would not want to be called Christ because he is a humble man. I believe that the Pope does not consider himself to be a god or Jesus Christ on earth. However, the crowd of people perceived him to be Christ, and this is the most important factor. I am sure that many people shared similar views as this lady. The people’s attitude is evident in their zeal to be touched and blessed by the Pope and their reaction when he indeed touched any of them. The bible stated that while Christ was on the Mount of Olives, the disciples asked Him privately to tell them about the signs of His second coming to earth. Jesus gave them a list of things that will take place on earth before He returns. He also told them that there will be many people who will come in His name saying that they are Christ and will deceive many by performing many miraculous signs and wonders. The Lord also told the disciples that people will also say to you, “look here or there is Christ or look Christ is in the desert, or He is in the inner room!” but they must not go out or believe it. When the passage is studied carefully, you will realize that it was referring to two different types of false Christs. The first set of people is those who impersonate Christ and will perform many signs and wonders in His name. We need to test the spirits of these individuals because they are false. The second group of false Christs is those who the people believe them to be Christ. They do not proclaim themselves to be Christ, but their followers believed and declared that they are Christ. Many so called prophets and apostles fall in the first group while the Pope falls into the second group. When I see the thousands of people worshipping in reverence and adoration before the Pope, I realized that we have a generation who is hungry for the word of God but they lack knowledge. While Christ was on earth He saw our generation in the spiritual realm and He had compassioned on us because we appeared weary and scattered like sheep without a shepherd. The prayer of Christ is about to be fulfilled for this generation because the Lord is preparing teachers to teach this generation His words so that they will be guided on the path of truth. The second coming of Christ will not be announced on the airways because no one will know the hour or the minute of His return. Everyone will be busy doing their own business. Some will be partying, others will be working while others getting married or planning their wedding. Some people will be building while others will be trading. Then suddenly Christ will appear in the heavens in all His glory. Christ established the Kingdom of God within us through the Holy Spirit who dwells in our heart when we receive Him as our Lord and Savior. Ultimately the Lord will always be present with you teaching and guiding you and showering you with abundant blessings. Receive Christ today and enjoy your life with Him dwelling alive in your heart forever. If you need it, ask for it!